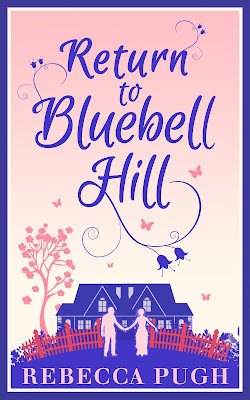 I'm honored to reveal the cover of Rebecca Pughs Return to Bluebell Hill today. Isn't this such a beautiful cover? The book doesn't come out till June 18th June but it is available for pre-order. I can't wait to read this book! Jessica soon dares to dream of her very own home with delicious Rueben by her side. But when a deep, dark secret of Bluebell House is unearthed, Jessica’s world is turned upside down… Will Jessica ever find where her heart truly lies? Rebecca Pugh grew up in the green county of Shropshire, with a mind full of fairy-tales and happy endings. Enchanted by true love and Disney Princesses, she decided that no matter what life threw her way, she’d continue to see the world through a child’s eyes. Through the pages of countless books, her adoration of reading blossomed, and it didn’t take long for her to fall under the spell of hundreds of authors’ words. Now, Rebecca’s own story has taken a fairy-tale like turn, and at 22, her dream has come true. With her faithful companions: Bonnie the dog, her partner, and her gigantic family by her side, Rebecca is ready to share her stories with readers who enjoy falling in love and losing themselves within beautiful, fictional worlds. 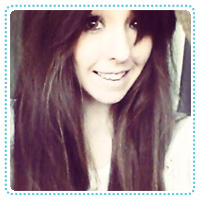 Rebecca Pugh is the author of women’s fiction and romance, her all-time favourite genres. After all, who doesn’t enjoy a good swoon? Her debut novel, Return to Bluebell Hill, is due to be published June 18th 2015 by Carina UK. Just popping by to say a HUGE thank you for taking part in my cover reveal today and sharing it on your absolutely beautiful blog! It is such an honour to be on here amongst all of these incredible authors. Your support has been amazing, and I'll never be able to thank you enough. You are WONDERFUL!